Create the Perfect Business Setting with Office Furniture from Indoff. See how Kim can help you create the perfect office! Office furniture of all styles--chairs, desks, shelves, etc. Everything you need to set up El Paso's next great business! Helpful tips on selecting and caring for office furniture in El Paso's dry climate. Also reviews on office products and supplies. If you are looking for quality, reliable office furniture in El Paso, you’ve come to the right place. Indoff Commercial Interiors is a name recognized by business owners around the U.S. Our name is known for sound, sturdy furniture that is meant to outlast trends and everyday wear and tear. With timeless pieces and quality workmanship, you are sure to get what you’re looking for. We are not simply an office furniture store, we have an endless variety to choose from because we are not in just one location. Our customer service is also unmatched. When it comes to finding the right office furniture for your business, we are the experts. The vision for your customized office space will start with a blank sheet of graph paper. Our expert, Kim Gregory, will take your vision and turn it into a 3D rendering of what your office will look like. She will also help you choose the right colors and style for the mood you are going for in your office. What starts as an empty slate ends with everything you choose – delivered, assembled, and installed at your work site. An essential part of any successful office is comfortable office chairs. All too often chairs are underestimated. However, in an office setting, employees spend anywhere from five to eight hours sitting each day. A comfortable, ergonomic chair can be vital to workplace satisfaction and contentment. 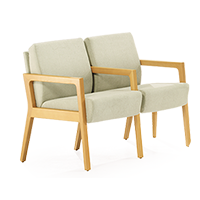 You don’t need to sit in dozens of chairs at an office furniture store to get what you are looking for. We can help you find whatever you need. Whether you need hundreds of chairs to fit a call center or one for an executive office, we offer both and everything in between. 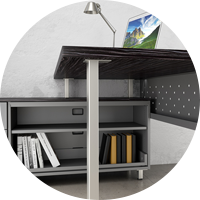 The right desk for your office space is another vital need in the workplace. 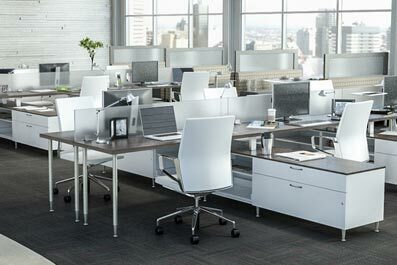 Choosing the right desks for your style, comfort, and budget can be difficult when you are browsing through an office furniture store or catalog. However, with Kim Gregory working by your side you will be sure to get exactly what you are looking for. She can help you get what you need while achieving the right mood and using your space wisely. 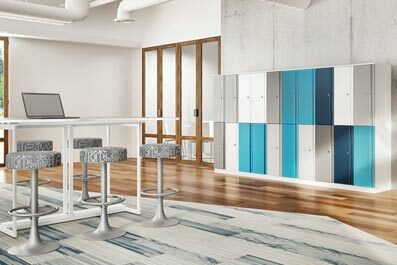 If you are looking for a balance between collaboration and employee privacy, cubicles are a great way to divide the floor plan and provide individual office space. 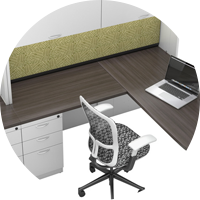 If you need a large number of cubicles, refurbished choices might work better for you. There are also options that divide the space while still offering an open floor plan. If you are looking for a budget-friendly solution to an office renovation or furnishing a new office building, pre-owned furniture might be the best choice. We can even create blended projects to mix brand new items with previously owned pieces of furniture to lighten the cost. 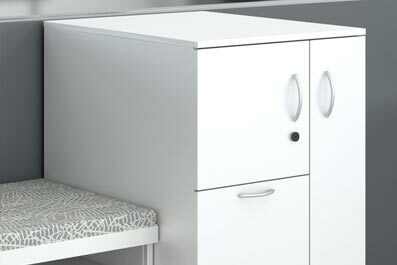 For example, you can opt for brand new chairs while saving on cubicles or desks. Indoff Commercial Interiors is not simply a showroom to browse through an overstock of desks, chairs, and cubicles. What we have is far greater. We offer customer service delivered right to your front door. Kim Gregory will help your vision and needs materialize into an office space that cultivates comfort, great morale, and productivity. Contact Kim Gregory in El Paso to set up an appointment today. Office Chairs: Is Yours Causing Back Pain? Copyright © 2019 Indoff. All Rights Reserved.